Rubinstein soon opened beauty salons featuring her unique brand of face cream and parlayed their success into a worldwide cosmetic empire. 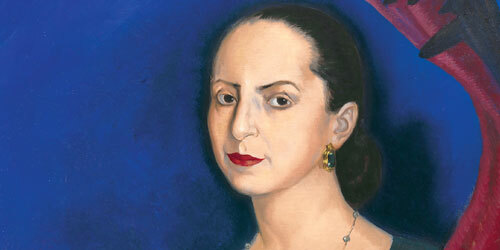 The Boca Raton Museum of Art will celebrate the life of the first female, self-made billionaire in Helena Rubinstein: Beauty is Power. The exhibition (April 21 to July 12) includes portraits of Rubinstein by Pablo Picasso, Andy Warhol and Man Ray, selections from her jewelry and clothing collections and photographs of her salons and homes. For more information about the exhibit visit bocamuseum.org or call 561-392-2500.